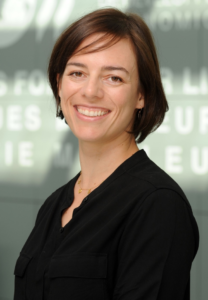 Julie Bélanger is a research leader at RAND Europe in the fields of education and social policy. Her responsibilities include providing leadership for research projects ranging from early childhood education and care to higher education. She is a core member of the international consortium which has been selected to implement the OECD Starting Strong Survey in 10 countries (Early Years centre staff survey). She is also involved with a number of randomized controlled trials of educational interventions in primary and secondary schools in the UK (funded by Education Endowment Foundation) and is involved in research looking into the factors associated with teacher shortages. Prior to joining RAND Europe, she worked as an analyst at the Organisation for Economic Co-operation and Development (OECD) where she was responsible for the development and implementation of Teaching and Learning International Survey (TALIS 2013), a large scale teacher and school leader survey which was implemented in 34 countries. Before this, she was a senior researcher at the Canadian Council on Learning where she worked with provincial governments on educational issues such as large-scale school reforms. Bélanger holds a Ph.D. and M.A. in developmental psychology from the University of British Columbia (Canada) and a B.A. in psychology and linguistics from McGill University (Canada). Her main research interests include education research and policy in international and local contexts as well as issues surrounding early childhood education and care.